« Evidence based chaos in critical care units ! 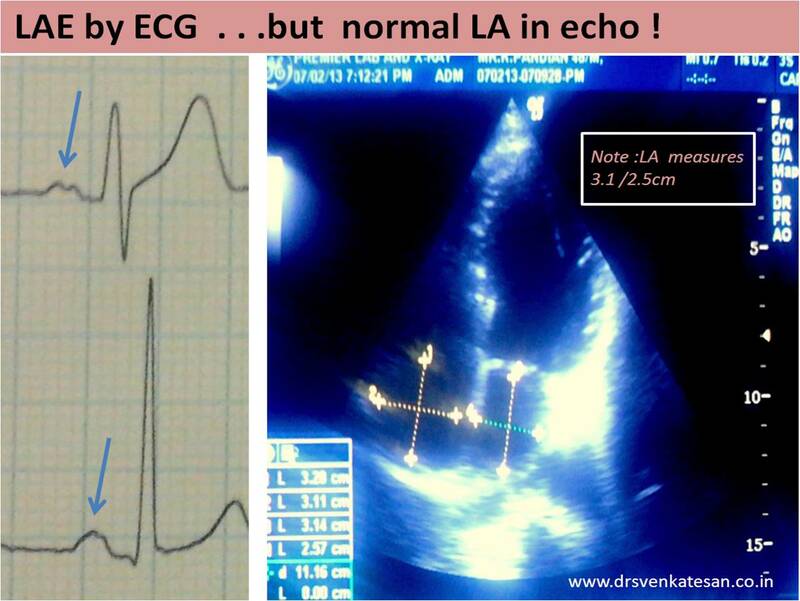 ECG suggests LAE . . . Echo reveals an absolutely normal Left atrium . . . what is your comment ? This is an ECG of a 42 year old man .He was reported as Left atrial enlargement (LAE) and was referred for echocardiography . His echo was normal . LA measured 2.5 X 3.1 cm .The consultant called back the echo lab , to verify the left atrial dimension .He thought he was very sure of LAE .It took considerable time to convince him about the credibility of the echocardiographer . He was right after all . . . still . 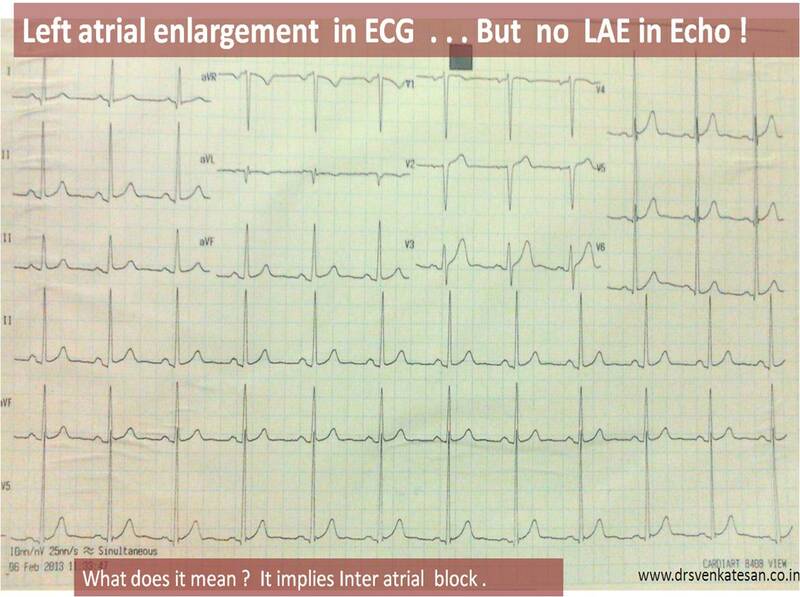 . . ECG was also looked convincing for LAE ! Is this phenomenon of wide P wave with normal atrial dimension common ? Yes it is . It underscores poor sensitivity of ECG in the diagnosis of LAE .The P wave abnormality in the above patient is due to Inter atrial block (IAB ) . This widens the p wave . What are the types of Inter atrial block ? IAB is an important differential diagnosis for LAE . The significance of which is not entirely clear . 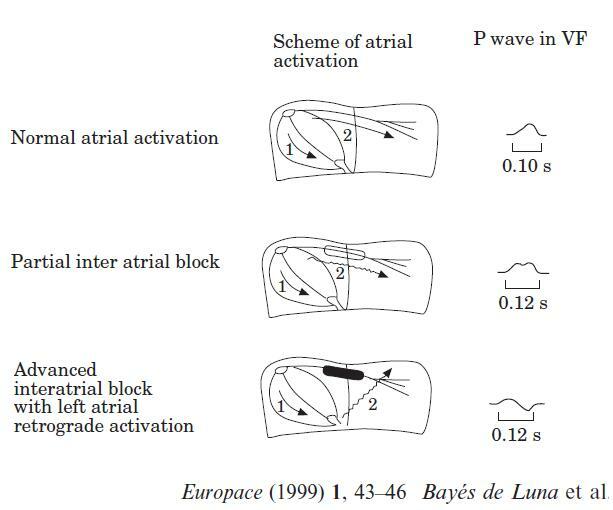 It is possible IAB precede LA enlargement .It can even trigger AF due to inhomogeneity. Even though IAB was reported in 1950s (Puech P* ) , it was rarely considered important With increasing incidence of atrial arrhythmia in aging population , IAB is expected to come into the lime- light again . The sophisticated electro anatomical mapping can unravel the mysteries surrounding this entity . *Puech P. L’activite´ electrique auriculaire normale et pathologuique. Paris: Masson, 1956; 206.